ItemE-05432 - The Meakin Hotel, 1400 Cedar Avenue, Trail. ItemE-05334 - The Kootenay Hotel, 976 Rossland Avenue, Trail. ItemE-05332 - The Rex Hotel, 764 Rossland Avenue, Trail, BC. ItemE-05312 - Allan Hotel, 1993 Columbia Avenue, Rossland. ItemE-05309 - The Orwell Hotel, 2003 Second Avenue, Rossland, BC. 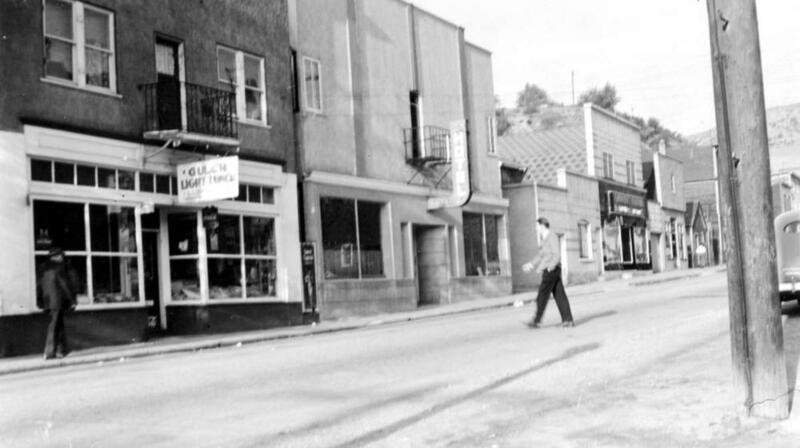 Item E-05332 - The Rex Hotel, 764 Rossland Avenue, Trail, BC. The Rex Hotel, 764 Rossland Avenue, Trail, BC.